JĀSÖN was natural before natural was cool. But as demand for natural personal care products increased, so did the competition. JĀSÖN was first, but was becoming invisible with no distinct brand story or design. We needed to define the brand’s meaning, and how to uniquely express its point of view at shelf. We discovered that Jason actually means “healer” in Greek. And the “umlaut” over the “Ā” in the brand mark suggested Swiss origin – a place where mountain botanicals and the idea of herbal healing lives large. We began to explore how the idea of “living well” could be reimagined for the modern American family. Through our design exploratory we refashioned latent notions of a healing place into something more luminous, experiential and enlightening. JĀSÖN was renewed – through its brand meaning and packaging design – as a brand with the power to open our eyes to the restorative wonders the natural world. 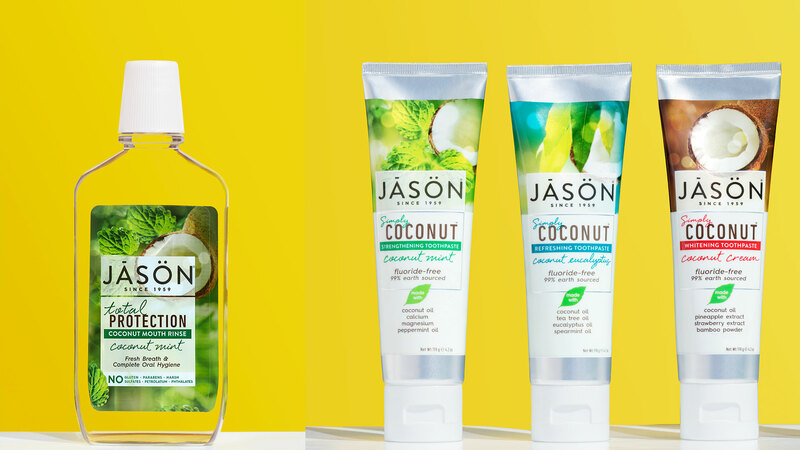 Conversion rates for JĀsÖn Hair, Body and Oral care increased to 60% after the rebrand. JĀSÖN launched a new dry spray deodorant that was a 2017 BEST OF BEAUTY winner in ALLURE MAGAZINE.